How to moisturize facial skin is important to know to prevent the face from looking dull and dry. 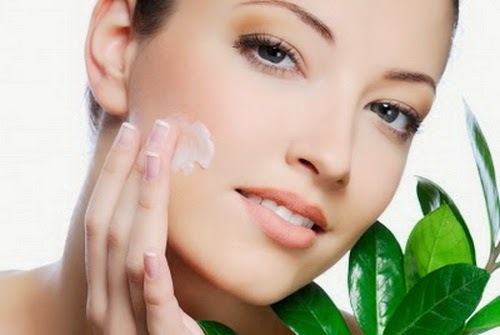 Moisturizer or moisturizer is one of the choices of women as a way to moisturize dry facial skin. Come on, find out if the steps you have taken are correct or not. Cold air or frequent exposure to air conditioning often makes the face feel dry, rough, dull or crusty. Moreover, if your skin type is classified as dry. Therefore, many people try to moisturize their skin. One way to moisturize your skin is to use a moisturizer, aka moisturizer, dry skin, protect sensitive skin, and improve skin color and texture. Want to know how to moisturize good facial skin? Pay attention to the steps below. In order for skin care and moisturizing to work effectively, it is recommended to choose facial moisturizer according to your skin type. In addition, by applying the way to moisturize the right facial skin the skin will look and feel soft. Choose oil-based moisturizers (oil-based) and contain various ingredients that help keep skin moist. For example, petrolatum-based moisturizers are very suitable for very dry skin or cracked skin. Moisturizers made from hyaluronic acid, urea, dimethicone, glycerin, and mineral oils are also good for moisturizing dry skin. Search water-based moisturizing products (water-based) labeled noncomedogenic so as not to clog pores. Moisturizers made from alpha hydroxy acid (AHA) are one type of moisturizer that is good for oily facial skin types and prone to breakouts. Oily skin still needs moisturizer, especially after using skin care products that can remove oil and dry the skin. Choose moisturizers that contain ingredients like chamomile or aloe vera and does not contain substances that can irritate the skin such as acids, fragrances, or dyes. Moisturizers labeled hypoallergenic can also be an option because they are considered less risky to cause allergic reactions and irritation. As you get older, the skin tends to become drier because oil production decreases. Therefore, look for oil-based moisturizers that contain petrolatum, antioxidants, or AHA to fight wrinkles. Choose water-based moisturizers that don't feel oily and contain light oils or silicon derivatives like cyclomethicone. How to moisturizing facial skin can not be arbitrary. There are stages that should be done so that the moisturizer works optimally on your skin. What are that? Clean the skin with clean water and facial soap to clean and remove makeup, dirt, and sweat that accumulates. Apply moisturizer as soon as the face is washed and still moist, ie no more than 2-3 minutes after the face is washed. In this condition, the moisturizer will be absorbed by the skin better and can help lock water in the skin. Apply a pinch of moisturizer to the cheeks, forehead, chin, and nose with clean hands and fingers. This is useful to prevent the entry of dirt and bacteria, as well as blockage of pores. Facial massage so that it moisturizes evenly and is perfectly absorbed in the skin. Wait for at least 2 minutes for the moisturizer to dry and absorb the skin, before applying make up . Exposure to direct sunlight in the long term can make the skin dull, dry, and wrinkled. Therefore, it is important to use a sunscreen and find shelter to avoid direct sun exposure while on the move outside the home. Hot showers too often and long time is not good for facial skin. Hot temperatures can damage facial skin, making the skin look dry and dull. Limit bath time to 10 minutes and choose soap that does not irritate the skin. Not only is it important to prevent disease, a healthy lifestyle also has good benefits for maintain skin health and moisture. Avoid cigarettes, alcoholic beverages, enough sleep, consumption of nutritious intake and water, and reducing stress are some important steps as a way to moisturize natural facial skin. It is recommended not to apply too much moisturizer or too a little. Why? If it's too much, the skin will look shiny and feel heavy, cause acne, and make it difficult for you to apply make up . Whereas if too little, the skin will feel tight, dry, crusty, cracked, and looks dull. When using a moisturizer that suits your skin type, just a pinch is enough to apply to the entire face. The way to moisturize your face is not difficult, provided you remember to use a moisturizer that suits your skin type and follows the recommended rules . If you have used various types of products and how to moisturize your face still not produce the desired effect, you can consult a dermatologist.